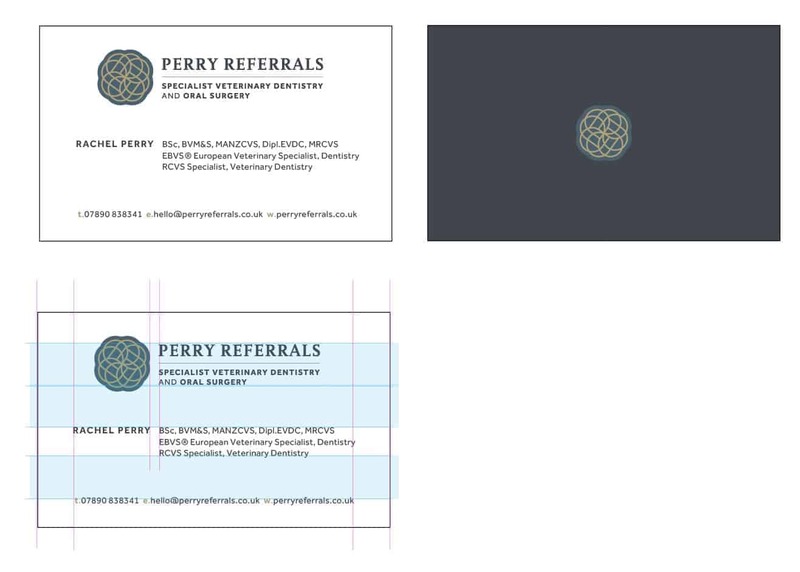 Currently working an exciting vetineray logo and brand identity redesign for Perry Referrals – Specialist Veterinary Dentistry and Oral Surgery. We’ve just finalise the logo design; the base brand type styles and also range of colours that will be used to design the rest of the brands identity. Incidentally, although the logo mark may look somewhat abstract, it is formed from a circular stylised initial P, that is also loosely based from a canine tooth, but very subtle. Next up is the stationery design, which I’ve just started. 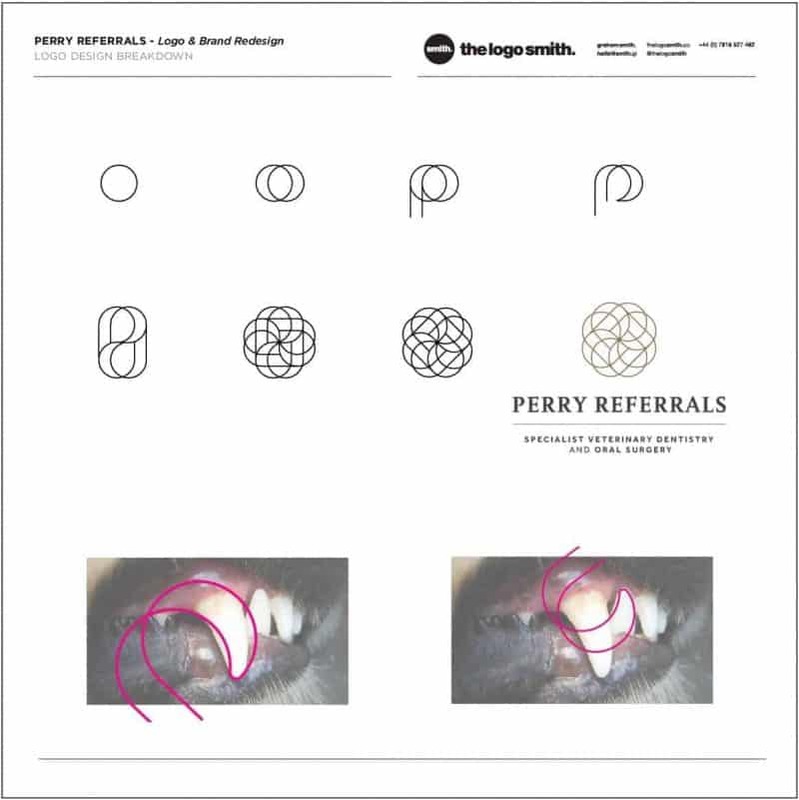 The client had a fondness for circles in general, but also wanted to somehow have a brand mark that reflected her initials, and if possible, some visual connection to the oral/mouth aspect of her work. I was able to design in all of her requests, by creating the initial P from circles, which then formed a basic tooth shape. All quite subtle, but also quite unique.